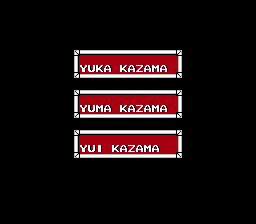 Sukeban Deka III is an action role playing game for the Nintendo Entertainment System. 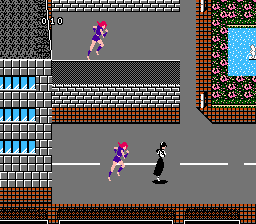 The game is based on a Japanese comics which was adapted in televison dramas, live action movies and animation. 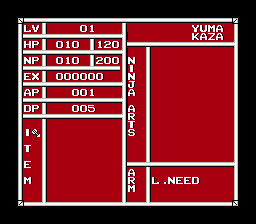 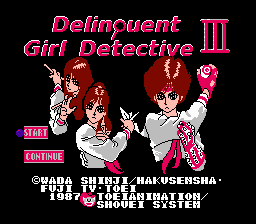 Here is a full English translation for the Famicom title, Sukeban Deka III.